Knowledge of Islam should be offered equally to men and women. There is nothing in Islam that should prevent women from acquiring knowledge in the religious disciplines for their own benefit and practice. Fatima, sister of Omar, second Rightly Guided Caliph, was probably the earliest student to study Quran. Together with her husband, Sa’id bin Zayd, she received private classes of Quran recitation under a teacher called Khabbāb. At that time, there were fewer than forty Muslims in Mecca. The tradition of women being qualified as religious scholars in Quran, hadith and Islamic law is as old as Islam itself. There is nothing in Islamic teachings that prevents women from becoming scholars, or from teaching both women and men. The best example was Sayyida Aisha, wife of the Prophet ﷺ, who was a great scholar of Quran, hadith, law and poetry. The tradition continued through the golden age of Islam, with great female scholars such as Karima al-Marwaziyya, Zainab bint al-Kamāl and Aisha Al-Bā’ouniyya. In 2007, on the 500th anniversary of Aisha’s death, she was selected by UNESCO as one of the greatest figures to make contributions to civilisation in her society. Great male scholars, such as Abu Bakr al-Khatib al-Baghdadi, Shams al-Dīn al-Dhahabi and Shams al-Din ibn Tolōn, learned from those women. Women’s Muslim College is now reviving this tradition, without compromising our Islamic principles. The Principal, Shaykha Safia Shahid, has been attending my classes for over 15 years. She has shown excellence in learning and teaching, and proved herself to be capable of having a grasp of both the sacred knowledge and the challenges facing our communities. A strong team of dedicated teachers distinguishes Women’s Muslim College as a college of high standard, drawing on knowledge gained from reliable sources in the Islamic sciences. This should make it like a qibla for serious female students, both in the UK and internationally. It is a privilege to guide young female scholars, who will not only be equipped to face the many challenges ahead, but will be positive contributors to society, promoting peace, moderation and protection of life. We pray for the success of this College for generations to come. Al-Allamah Shaykh as-Sayyid Muhammad al-Yaqoubi is one of the greatest scholars in the world today. In Syria, and particularly in his home city of Damascus, the Shaykh rose to great prominence in recent times for defending the Prophet Muhammad (Allah bless him and grant him peace), and being one of the first of the ulema to courageously condemn the brutal Syrian government at the start of the popular uprising. In the West, he is an extremely eminent and distinguished preacher amongst Muslim minorities, and a caller to Islam, thousands having embraced the religion through his powerful and uncompromising lectures, wise words and charismatic approach. For several years running, the Royal Aal al-Bayt Institute has included him among the 500 most influential Muslims in the world. Shaykh Muhammad descends from a scholarly family that traces its roots back to Morocco and its lineage to the Prophet Muhammad (Allah bless him and grant him peace). He is both a sufi and jurist, continuing the glorious legacy of his late father, the Imam of the famous Grand Umayyad Mosque in Damascus, the gnostic, and polymath of Syria, Sayyid Ibrahim al-Yaqoubi (Allah show him mercy), as well as his grandfather, the erudite Imam, gnostic and ascetic, Shaykh Ismail al-Yaqoubi (Allah show him mercy). Prior to being forced into exile in 2011, Shaykh Muhammad was teaching regularly at the Umayyad Mosque, as well as being the weekly Friday speaker at the Hassan Mosque in the Abu Rumana district of Damascus. He also taught regular classes at the Mosque of Shaykh al-Akbar Muhyiddeen Ibn ‘Arabi. From an early age, Sayyid Ibrahim al-Yaqoubi supervised Shaykh Muhammad’s upbringing and tutelage, ensuring that every aspect of his son’s life was developed with the most detailed care under the guidance of the Sharia. For over 20 years, Shaykh Muhammad studied over 500 books with his father, in the sciences of the Qur’an, Hadith, Fiqh, Mantiq and many other fields. His father gave him full authority to narrate Hadith, to teach and issue fatwa. He also received many other ijazas from the most prominent scholars of Syria, including Mufti Abul Yusr ‘Abidin and Shaykh Makki al-Kittani (Allah show them mercy), granting him some of the shortest isnads in the world. 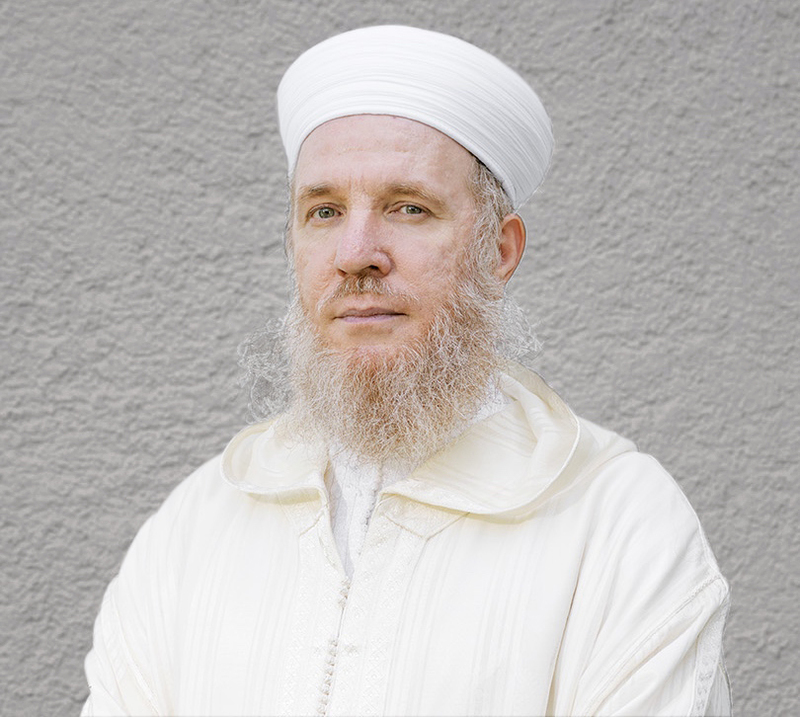 The Shaykh is fluent in several languages, including Arabic, English and Swedish, and has trained several hundred scholars, imams and preachers, both in Syria and the West. He is the author of a number of books in Arabic, as well as several poems in both Arabic and English. He has travelled the world extensively, participated in conferences and lectures, and taught several intensive programmes around the world, from Finland to South Africa, and Indonesia to the West Coast of the USA. The Shaykh currently lives in Morocco with his wife and four children, and continues to teach the sacred sciences to scholars and students.